On a recent visit to the Aspen, CO area, I met Elena Gonzales Ruiz. 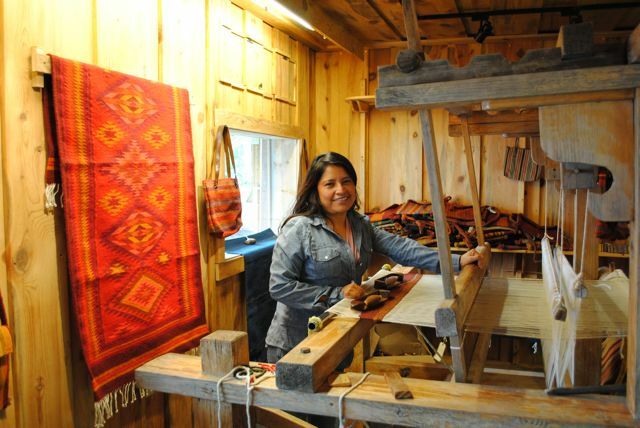 Elena weaves in the tradition of the Zapotec Indians of Southern Mexico. 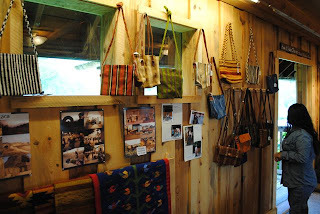 The Zapotecs had a long tradition of weaving by the time the Christopher Columbus arrived in 1492. 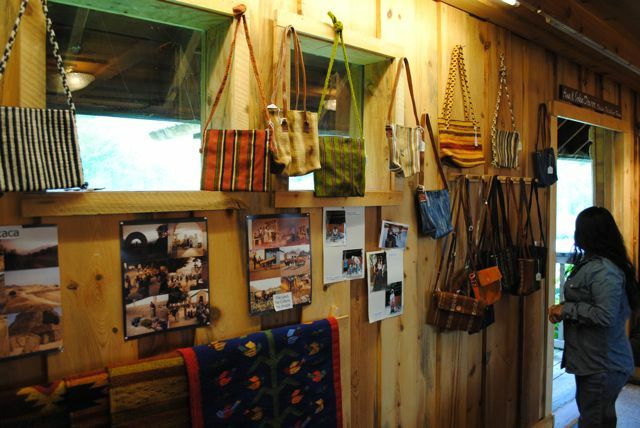 Elena spends her summers introducing visitors to her weaving at Toklat, a special center under the guardianship of the Aspen Center for Environmental Studies. As you can see from these photos, the colors in her work are stunning. The dyes use the cochinilla insect which lives on the Nopal cactus. The insects are dried and left in the sun for a week before being ground up and used to create dyes. The darker red in the blanket in the first photo is the natural color of the insect dye. Elena lives in the village of Teotitlan del Valle in Oaxaca, Mexico when she is not weaving at Toklat. You can reach her via email. For more information on the Zapotec Indians, try this link. I also found more about Elena's family and the village at this site. You might recognize Elena in some of the photos with her full name, Magdalena.